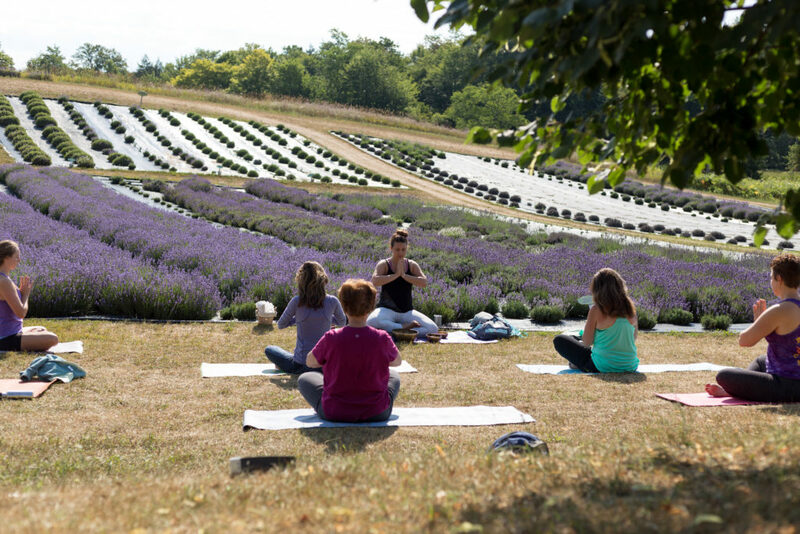 Enjoy the fresh air as you move through a guided yoga practice in the presence of nature. 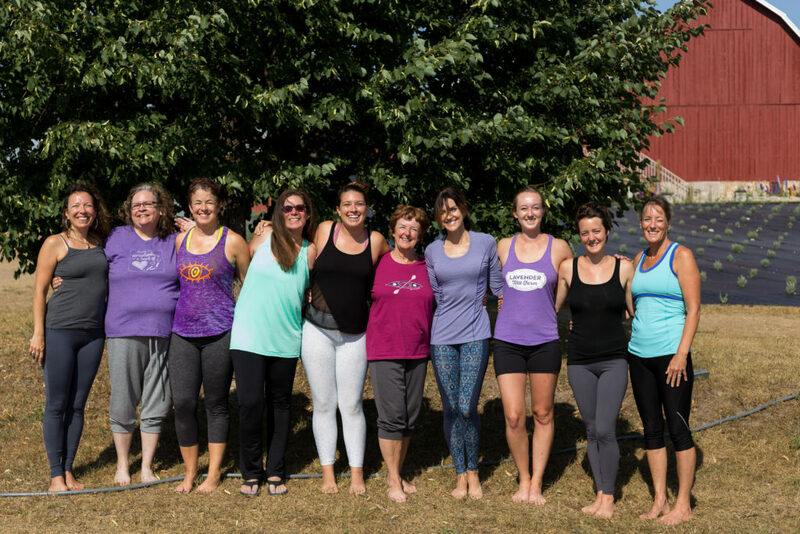 Rain or shine, this group class includes a supported flow available to anyone, from the beginner to the advanced yogi. 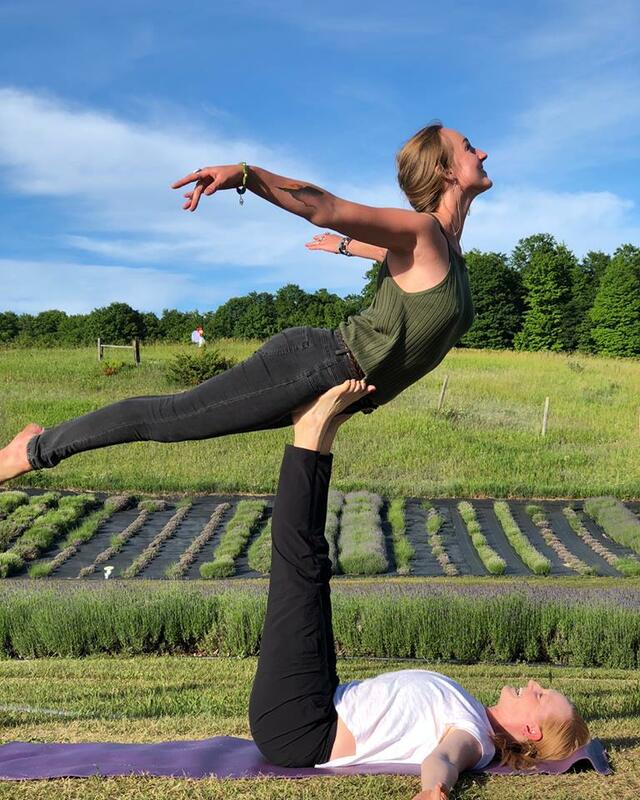 Yoga in Bloom is about having fun and finding nourishing poses, encouraging your practice to blossom! 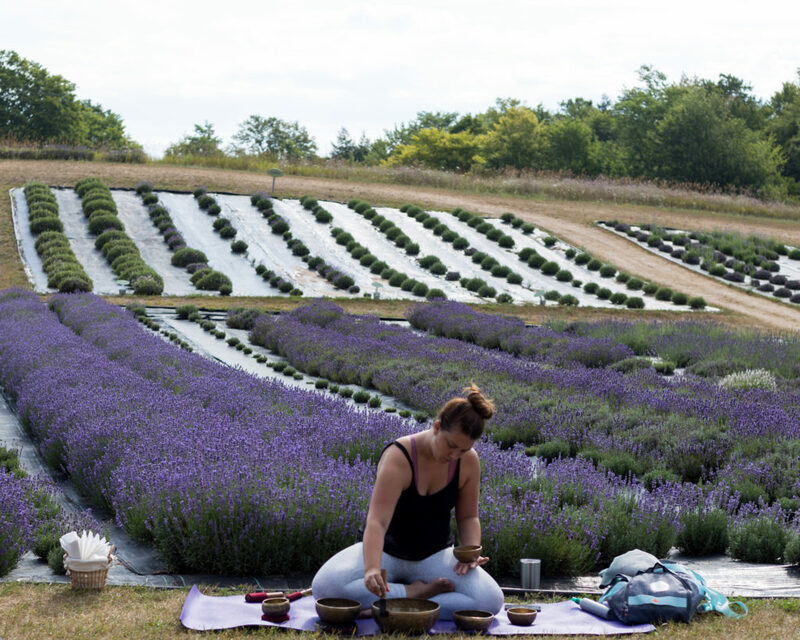 Each class will end with a mini Tibetan singing bowl meditation, soothing guided meditation, and a drop of house made lavender oil to enhance your experience. 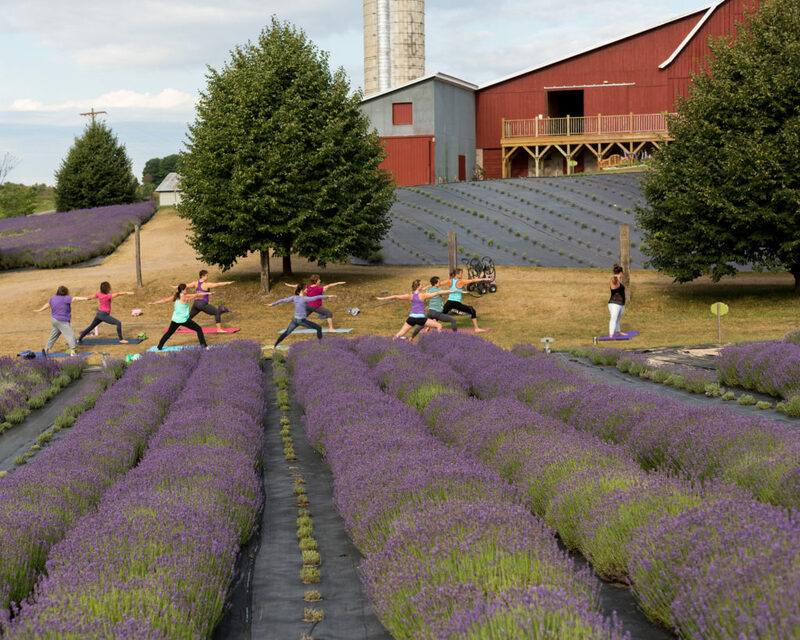 Get outdoors and come enjoy the beauty Lavender Hill Farm has to offer. Participants will receive 10% off a LHF purple racer-back tank, or a LHF t-shirt! 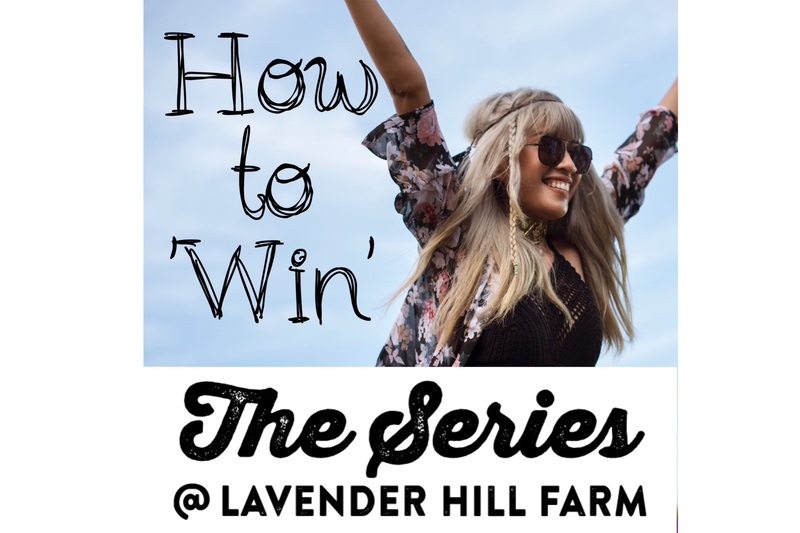 Learn the basic movements and stances of this balance building exercise surrounded by the beauty of Lavender Hill Farm. This is a beginner to intermediate workshop for people of all ages. 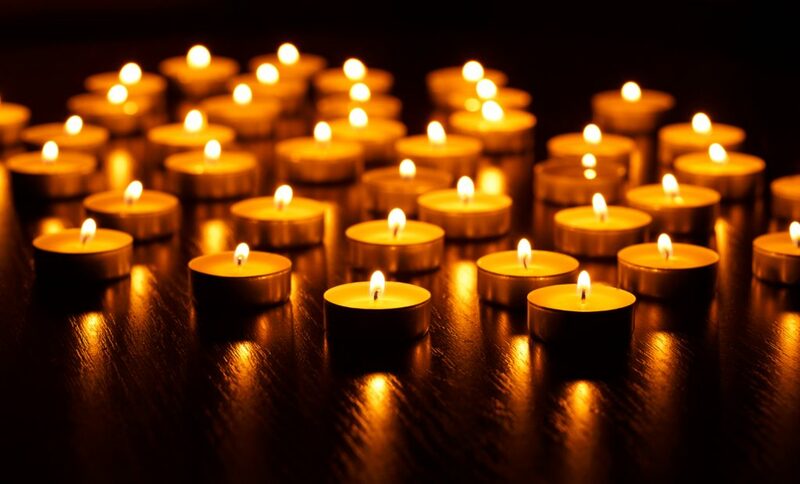 You will leave this class feeling more peaceful, relaxed, energetic and ready to enjoy the rest of your day. RESTRICTIONS: All ages and skill levels welcome. Those with limited mobility are welcome to participate and can perform movements while seated or standing. ABOUT THE INSTRUCTOR: Patti O’Malley lives in Boyne City and has taught Tai Chi at retirement communities in the area for 15 years. Reach her at prbehling@charter.net if you have any questions. 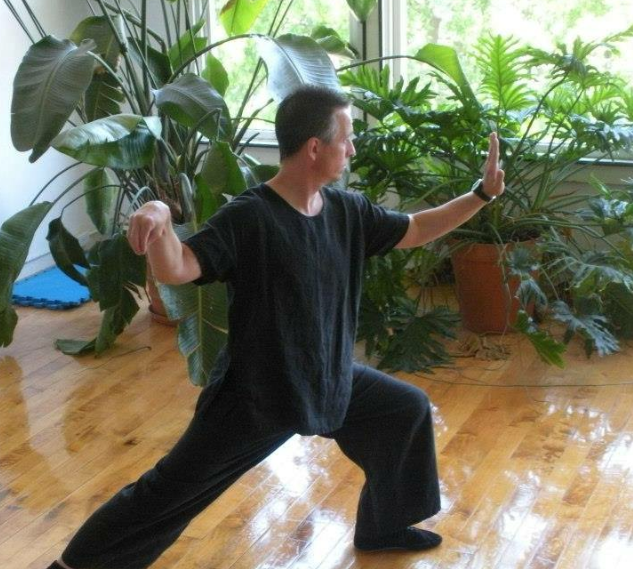 Join us for a Ch’uan Yang style short form Tai Chi Class led by established instructor Todd Ackerman. 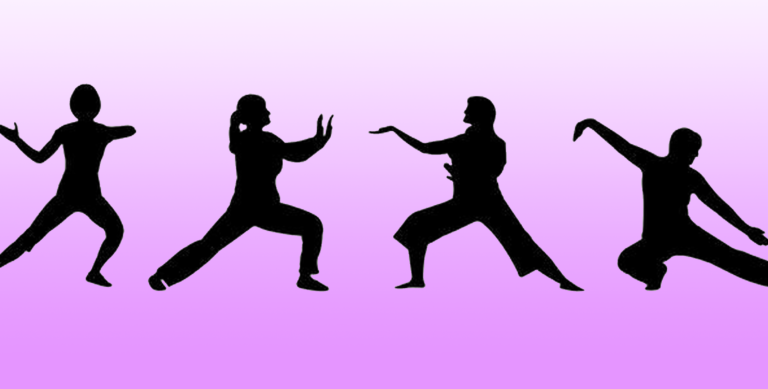 Tai Chi involves a series of movements performed in a slow, focused manner, accompanied with deep breathing. Tai Chi, also called Tai Chi Ch’uan, is a non-competitive, self-paced system of gentle physical exercise and stretching. 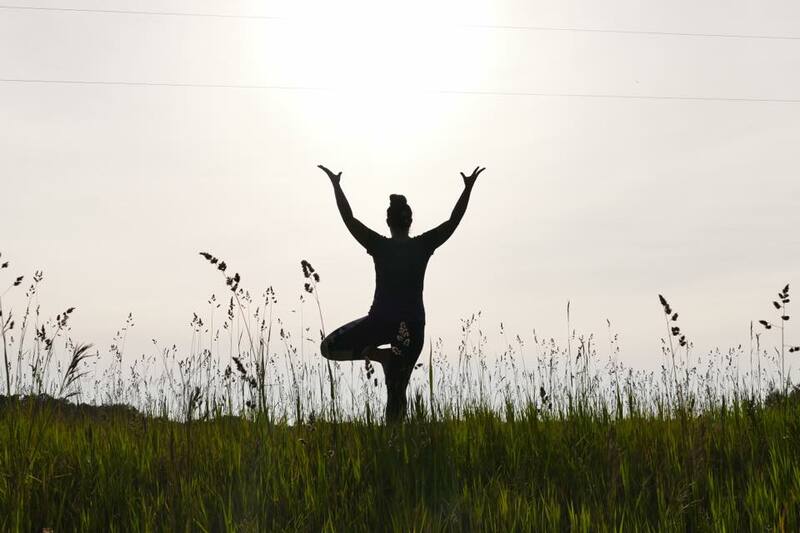 Each posture flows into the next without pause, ensuring that your body is in constant movement. Balance at its finest, a true way to gain internal strength of the stabilizers needed for balance throughout, the mind and body. This class will take place outdoors. 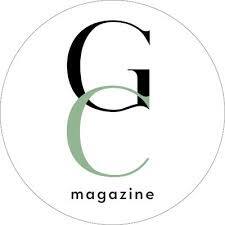 WHEN: 10 – 11AM on May 18, June 8 & 22, July 27, August 10 & 24. ATTIRE: Comfortable loose fitting clothing and tennis shoes if desired. 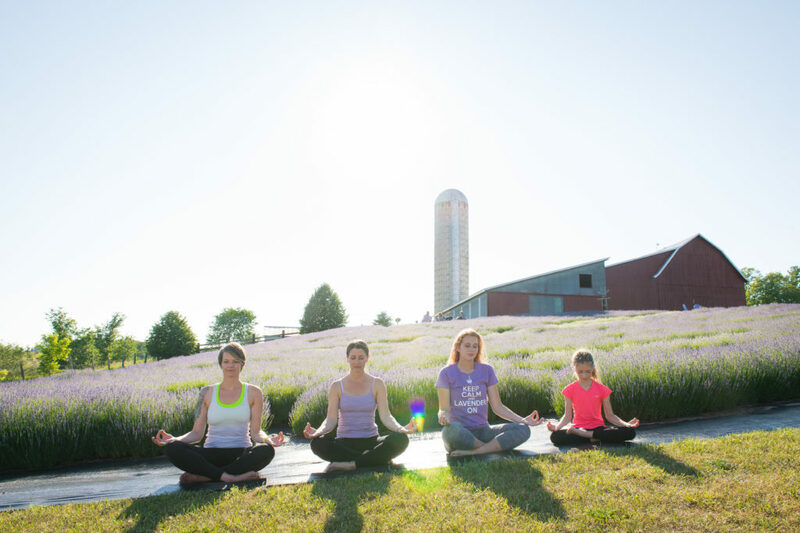 Enjoy a night of soft light and deep relaxation in the barn at Lavender Hill Farm. 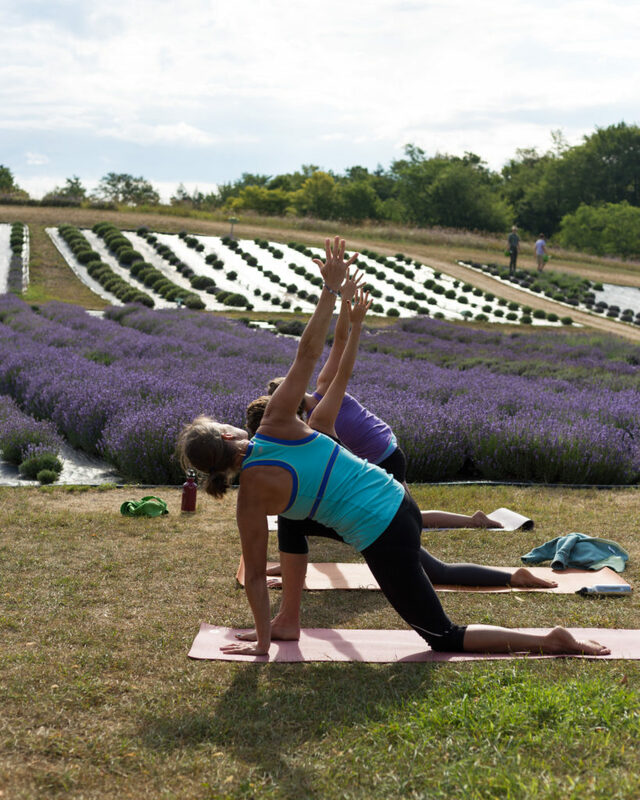 Raquel leads a gentle practice of breath centered stretching and movement. This class is accessible to all levels of experience. Dress cozy and don’t forget to bring your favorite blanket for Savasana. Kombucha is a fermented tea that has been consumed for thousands of years. Not only does it have the same health benefits as tea, it’s also rich in beneficial probiotics and contains antioxidants. 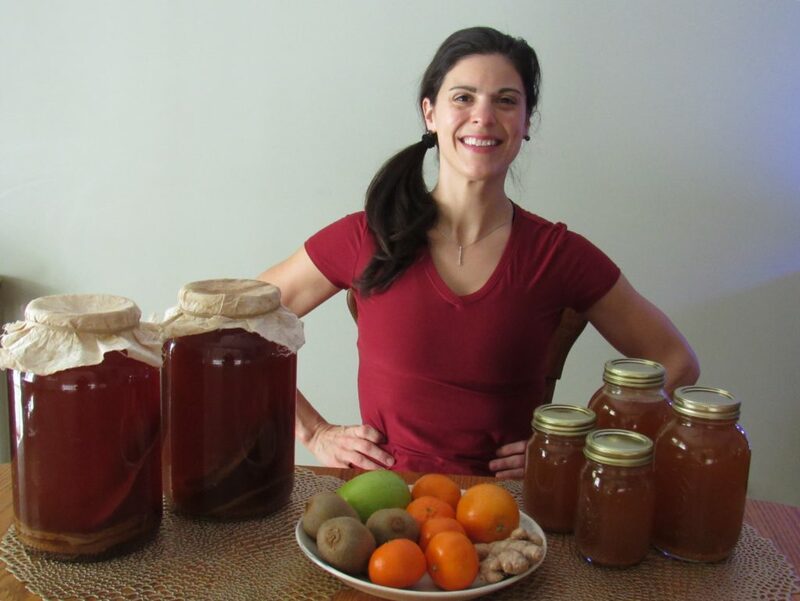 Please join Sara for a fun & insightful evening as you learn all things Kombucha! 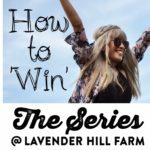 This class includes tastings, step by step brew & bottle process demonstration and a take home kit to start your very own batch of kombucha goodness. COST: $35 per person. Cash or Check payment collected by instructor before class. REGISTRATION: Please email Sara at sckessler4@gmail.com to reserve your spot. This class has a minimum and maximum attendance requirement so reserve your spot today! Deadline to register is June 20th. ABOUT THE INSTRUCTOR: Sara is a local fitness professional whose passion for healthy living extends beyond just exercise. Certified by the National Strength & Conditioning Association & The Professional Fitness Institute since 2008, Sara currently works as a personal trainer & group exercise instructor in the Boyne area. She loves nature, mountain biking & dancing & is an active wife & mother of 5 children, ages 20 through 4. NOTE: Kombucha is a fermented beverage which is the same process that creates alcohol therefore it can contain an uncontrolled possibility of up to 0.5% alcohol. The Food and Drug Administration deems this low level non-intoxicating. 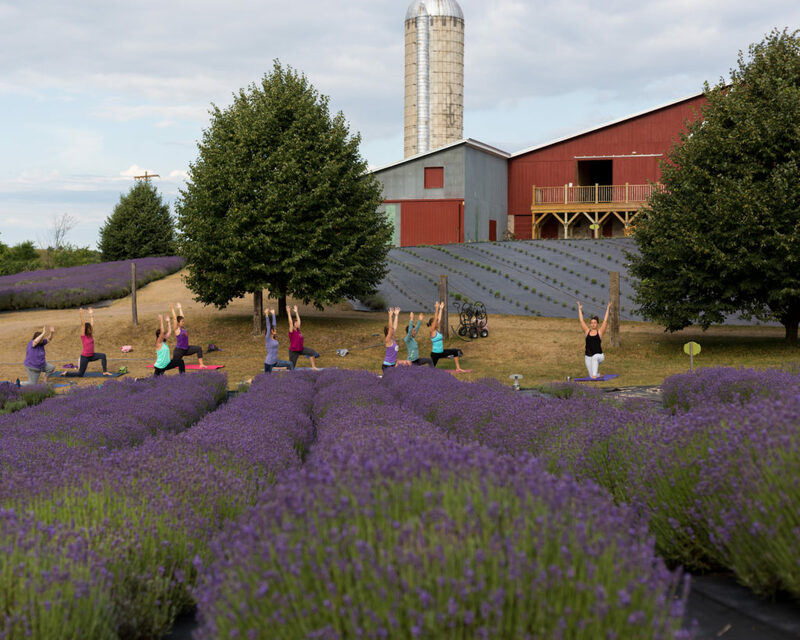 Yoga Roots Petoskey is hosting a Yoga Day Retreat at Lavender Hill Farm! 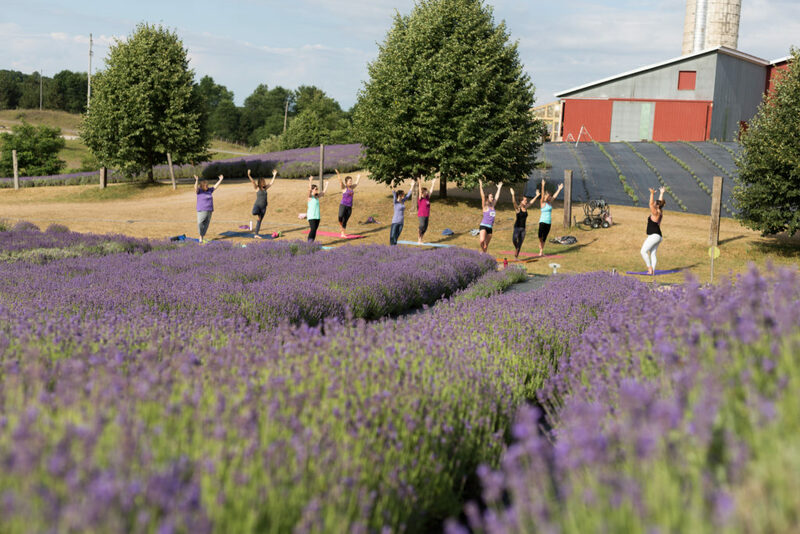 This is your opportunity to spend an intentional day connecting to breath, body, self, and nature. Slow down and appreciate the beauty that surrounds you. 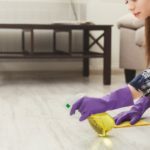 Through mindfulness practices we can cultivate the skills to appreciate the present moment, this presence is the best gift we can give ourselves and others. DETAILS: Open to all ages and ability levels, no previous yoga or meditation experience necessary. Bring any props or mats you will need for the morning class, extra equipment will also be made available. 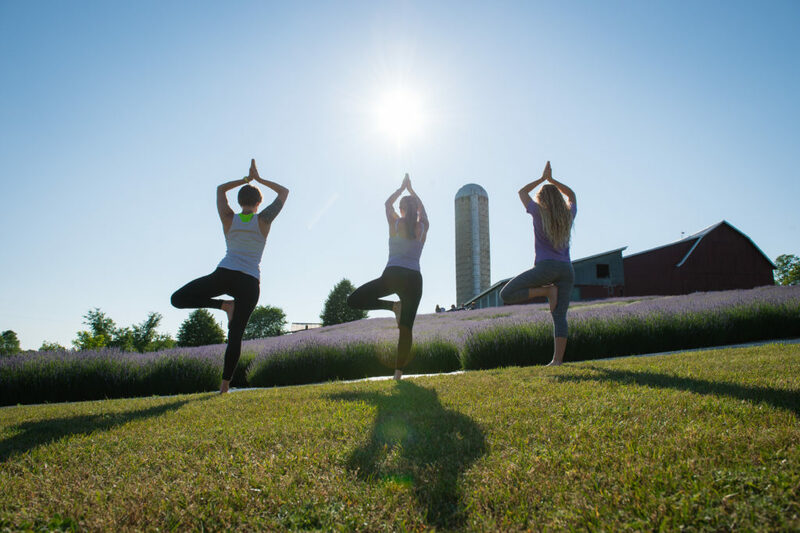 Afternoon classes do not require equipment. Pack a lunch to enjoy at the farm. 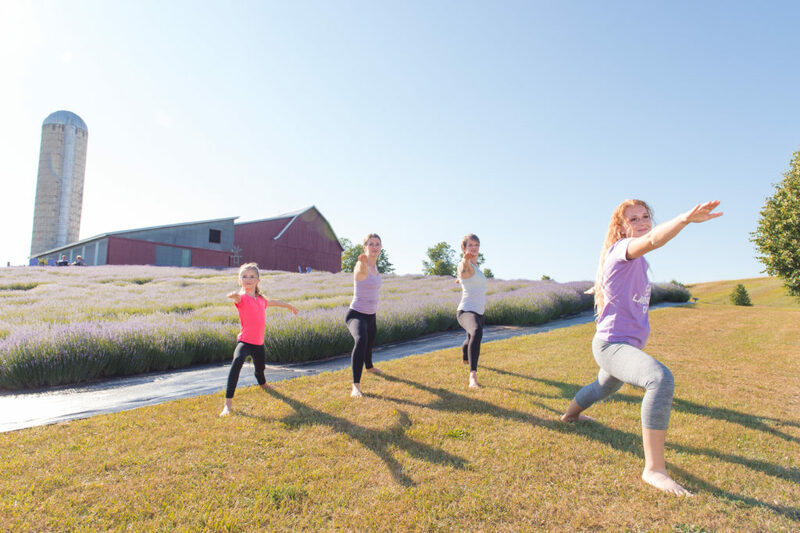 Join Lynn Turner, of the Northern Michigan Drum Village for a Drum Aerobics class in the barn at Lavender Hill Farm. Participants will be guided to drum and move for a total body-toning and cardio workout in this six-week moderate to intense rhythmic class. The movements can be modified for people of all ages and differing abilities. The stability ball acts as a power drum with the use of lightly-weighted drumsticks. Join Lynn, who contends that if you have a heartbeat, you have rhythm. COST: $15 per person. Cash or check only. No advanced reservation required. RESTRICTIONS: Those under 18 must be accompanied by a participating adult. PLEASE BRING: Bring your personal water bottle. Drum equipment will be provided. Wear comfortable clothing and tennis shoes. 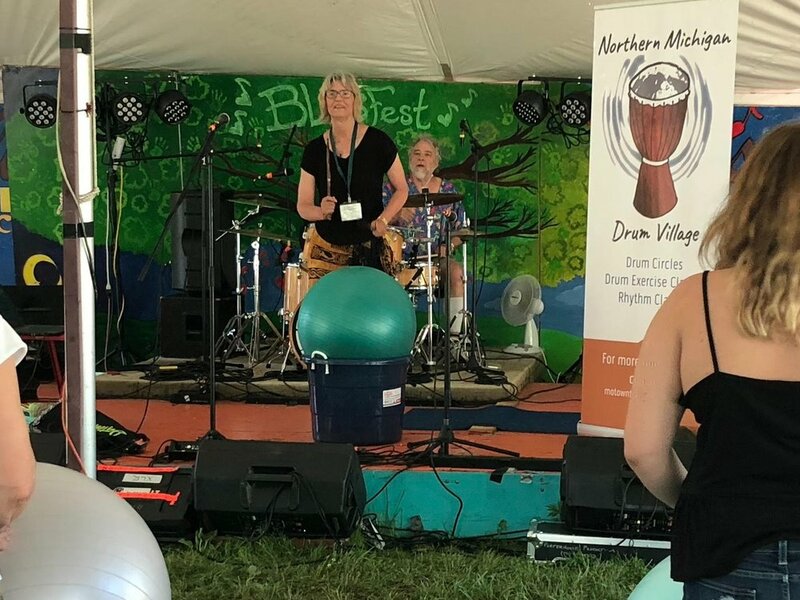 ABOUT THE INSTRUCTOR: Lynn Turner is the director of the Northern Michigan Drum Village. 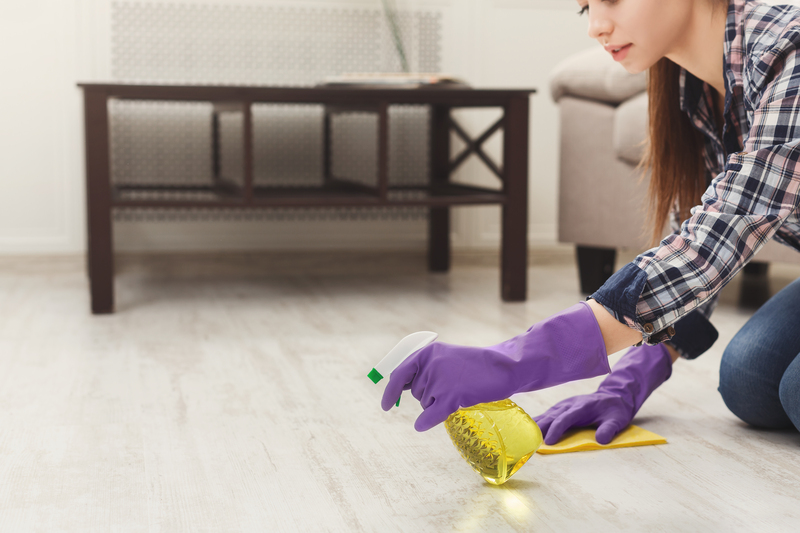 Though she has pursued a fairly hefty academic career, the thread of a rhythm connection has persisted throughout her life. Her love of dance began with 12 years of tap dancing, followed by her first drum class on the djembe (an African hand drum). She stayed with the djembe for a number of years then switched to the African djun-djuns (played with sticks). The poly-rhythm of African drums was completely addictive to her. Her musical journey includes performing memberships with The Djembabes (TX), Trio Bossa Nova (TX), and River Rhythms (NC).